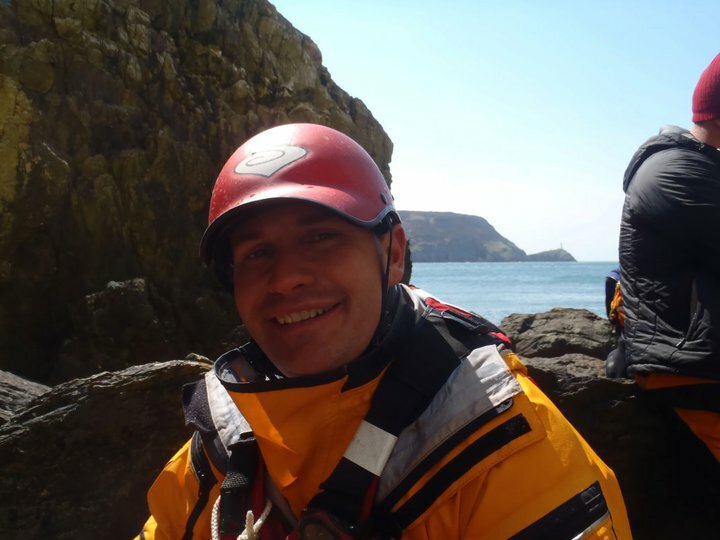 Spring has sprung and with it comes the annual event of the Anglesey Sea Kayak Symposium, organised by Nigel Dennis and based out of Anglesey Outdoors near Holyhead. 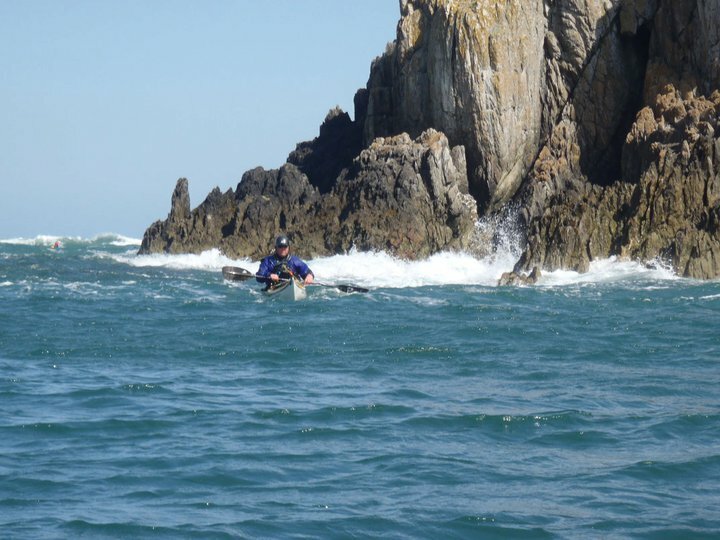 This year saw the gathering endure unrelenting Easterly winds which made for interesting paddling conditions and the need for flexible venue choices. Nonetheless, despite the weather, everyone was in high spirits and keen to experience all that Anglesey and the numerous guest coaches had to offer. Some participants even speculated over whether we might stumble across William and Kate walking on a beach after their big day. After the morning meeting on Saturday, I was teamed up with Jen Kleck, Phil Hadley and Sonja Ewen to run a day long 'moving water' workshop. 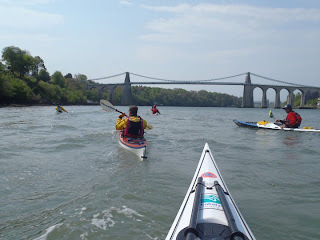 With the conditions as they were, the decision was made to head over to the Menai Straits and take advantage of the tidal flow there. Once at the Porth Daniel slipway we split into small teams so that we could each make best use of the Straits and enhance the experience for those paddlers who had signed up. And so it was that Rosie, Andreas, Tony, Jens and Anna got to work on wind wave turns, break ins, break outs, ferry glides and even some trick manoeuvres before I allowed them to break for lunch. After which, the team was encouraged to practice an number of 'get wet' routines before finishing with some surfing. In contrast, on Sunday I joined up with my good friend Aled Williams of Tiderace Sea Kayaks notoriety, along with Nico Middlekoop, to run another day long clinic this time going by the title of "Intermediate Tideraces and Overfalls". 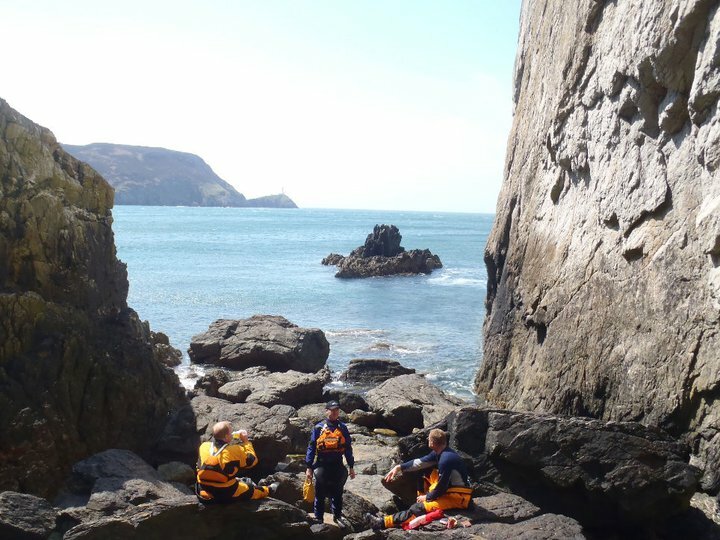 Aled's unique style of 'on the water' group management came into play as the three of us lead / guided / cajoled nineteen paddlers around the Stacks and onto Porth Dafarch, having launched from Soldiers Point. 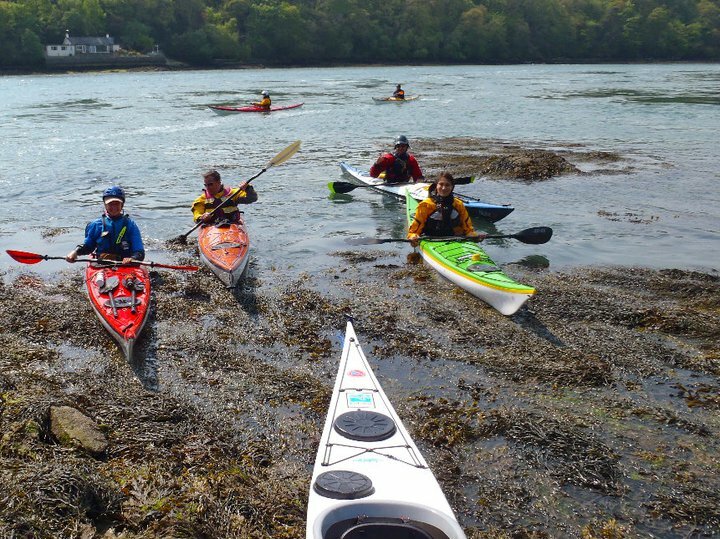 In essence, we each managed a handful of paddlers which gave time for small pods to play in the races but when journeying between locations it may have looked like a ungainly flotilla of sea kayaks at times. 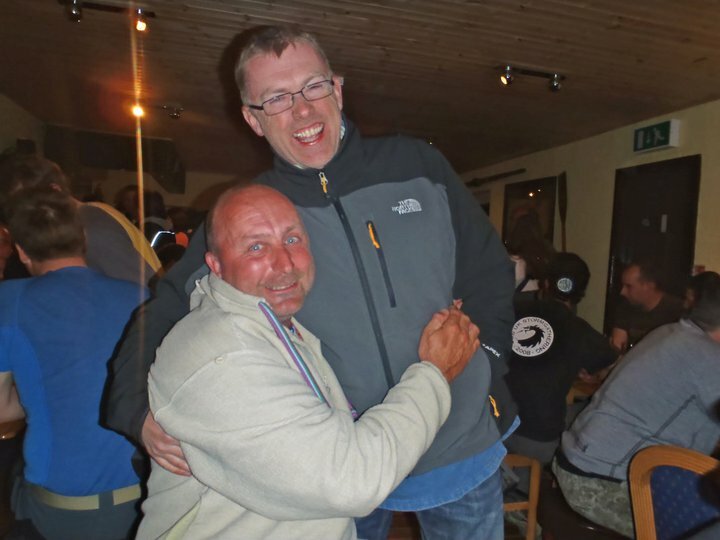 As with all such events, the enjoyment not only comes from being on the water but also the time spent socialising with fellow paddlers from all over the globe. Most notably this year with folk from Spain, Germany and Denmark. Saturday night had Eila Wilkinson, possibly the most effervescent sea kayaker I know, present to a full house about her exploits with Sonja Ewen when they set off to circumnavigate Ireland last year. And such things need to be followed by a sound evening in the newly refurbished Paddler's Return with the like of Jim Krawiecki, that great pompitous of wit, for company over a beer. Monday was an entirely different proposition for me. Whilst some folk were going on trips and others were experiencing Greenland games with Marc Alcober from Cataluna down at Porth Dafarch, I got to work with Greg, Rene, Mattias, Eila and Tom who have all started upon the pathway that will lead them to becoming BCU 4* Sea Assessors. The first part of their apprenticeship involves attending a BCU Generic Assessor Training day that is concerned with exploring issues that arise within the syllabus and assessment processes. 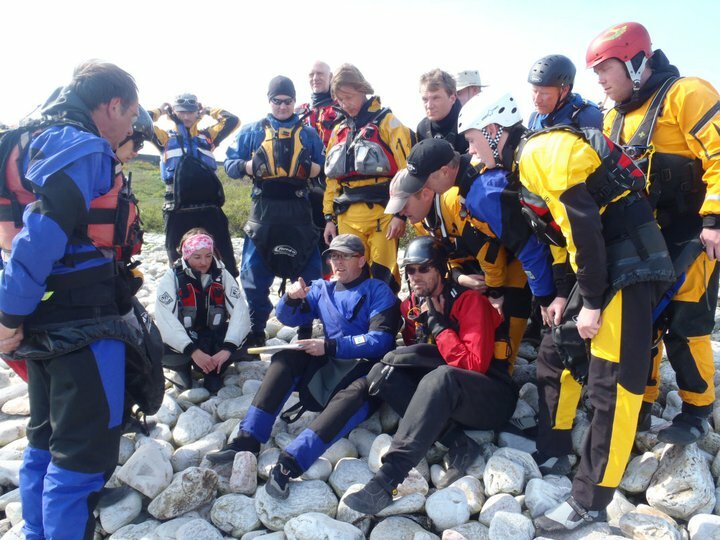 After which they can go on to completing a discipline specific training day. With the breadth of experience in the room and worldy insights from active coaches operating in Connecticut, Switzerland, Sweden and Tyneside as well as Anglesey, the discussions were healthy, activities lively and no-one appeared to mind being indoors for most of it. With this event now over I begin to turn my attention to future symposiums that I will be contributing to this year - Paddle Orkney '11, as well as organising - 6th UK Storm Gathering Symposium. In the meantime, I would like to thank Kokatat, Tiderace and Mitchell Blades for whom I am an ambassador for and am appreciative of their support of me with the equipment they provide that enables me to do a good job on the water as a leader and coach.